Microsoft's plan to promote Windows 8.x in tablets has been around for more than one and half years. It is not a huge success but Windows has evolved to work great in all the form factors which means that Windows is getting more mobile and flexible. 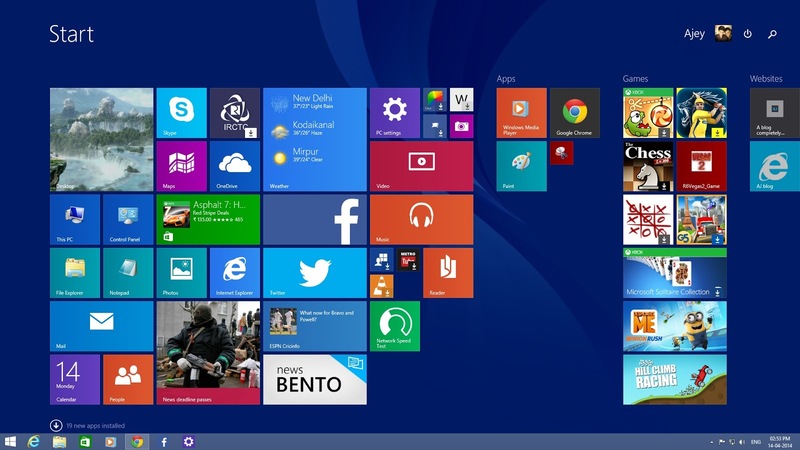 Windows 8.1 update 1 brings a lot of new features. It includes a new installation mode which is designed to take less space for Windows in the tablets with limited storage such as 16 GB and 32 GB devices.The new deployment option, which is simply called Windows Image Boot (WIMBoot), was specifically designed to be installed on devices with UEFI and SSDs with capacities of down to 16 GB, in order to make sure that users still have enough storage space to store their files and install apps. Basically, WIMBoot, which is available on all SKUs of Windows 8.1 Update, no longer extracts all files from an image files, but instead uses point files to keep everything compressed in the original WIM. This way, users are provided with the same folder structure, but under the hood, all files are compressed and thus help save space on your device.This can only be done manually right now, and it all comes down to a bit more complex process, but in the end, you could end up with 12 GB of free space on a 16 GB unit. “Effectively, you copy the WIM file into a separate ‘images’ partition (just like you would for a recovery image), then use DISM to create pointer files from the standard C: operating system volume into the WIM file. These pointer files are completely transparent, and Windows knows how to boot the operating system (keeping all the files in the WIM) when configured in this setup,” Microsoft explains. Windows 8.1 on a 16 GB device takes up 9 GB of space so that you have only 7 GB to store your files but with this method, Windows 8.1 update 1 will occupy around 3 GB which means that you can have 12 GB to store your files. Now that's really good improvement in Windows. Devices with WIMBoot will see daylight in the coming months .